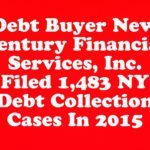 According to the New York State Unified Court System, New Century Financial Services, Inc. filed more than 10,300 New York debt collection lawsuits in 2013 alone. 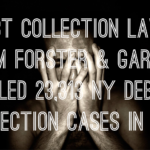 These cases were filed in New York’s civil, city and small claims courts where debt collection cases are most often filed. 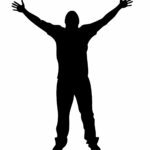 You may be asking – “having filed this many cases in New York alone, how can New Century Financial Services, Inc. be sure I owe them money?” The simple answer is they can’t. 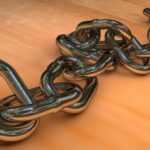 To New Century Financial Services, Inc., you the consumer are no more than an entry on a spreadsheet, you are data. Unfortunately for New Century Financial Services, Inc., entries on spreadsheets are not always enough to beat you in court. 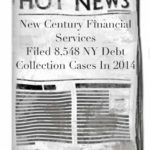 In a debt collection lawsuit, New Century Financial Services, Inc. must prove that you are responsible for the debt. 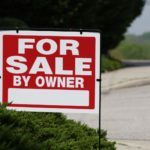 To meet this burden, New Century Financial Services, Inc. must prove that: (1) it has the right to sue you; (2) that debt is yours; and (3) you owe the amount they sued you for. 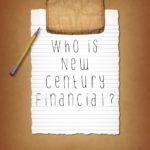 Remember, to New Century Financial Services, Inc., you are just an entry on a spreadsheet. 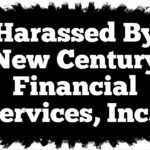 For this reason, New Century Financial Services, Inc. routinely lacks the evidence necessary to prove its case and beat you in court.